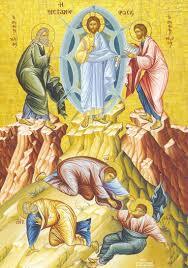 Yesterday was the feast of the transfiguration! On this date, we commemorate the day on which Our Lord revealed His glory to His three chief apostles to strengthen them as He prepared to undergo His Passion. Ant. Thy lightnings have enlightened the world; the earth shook and trembled. V. How lovely are Thy tabernacles, O Lord of hosts! My soul longs and faints for the courts of the Lord! Ant. Glory and riches are in His house, and His justice remains forever and ever. Alleluia. Ant. Tell the vision you have seen to no man, until the Son of Man be risen from the dead.